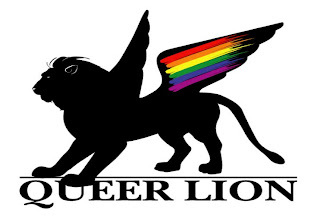 Finally the list of films competing for the Queer Lion surfaced with the announcement of the winner. Here is the winner that was in the Venice Days section and also the infamous list. For those that understand Italian, this is the Jury statement. “Per l’apprezzabile rappresentazione di una galleria di personaggi con storie, vissuti, gioie, speranze, che attraverso sguardi, incontri di corpi, sesso, parole, musica, si conoscono, si confrontano, si amano e si lasciano. La vita insomma, in ‘un altro pianeta’!”. There is not much information about the movie yet, but if you want to check some pics from the movie go here. Most of the imDb links have very little information about each film, but I’m including them as a reference for those that want to learn more about each film. This is truly appalling as most of the movies considered for the award are of gay interest; as far as I was able to find information about each movie perhaps only the Romanian movie has a lesbian interest moment (but, in that particular movie I really do not care that much as I’ll watch it with or without the label). Gosh again this year the “quality” of the lesbian interest films does not fit the jury and/or festival requirements. Let’s hope that next year we could have a huge surprise and at least one movie sets its quality standards high and is included in any section of this fest. To read the official announcement go here available only in Italian.